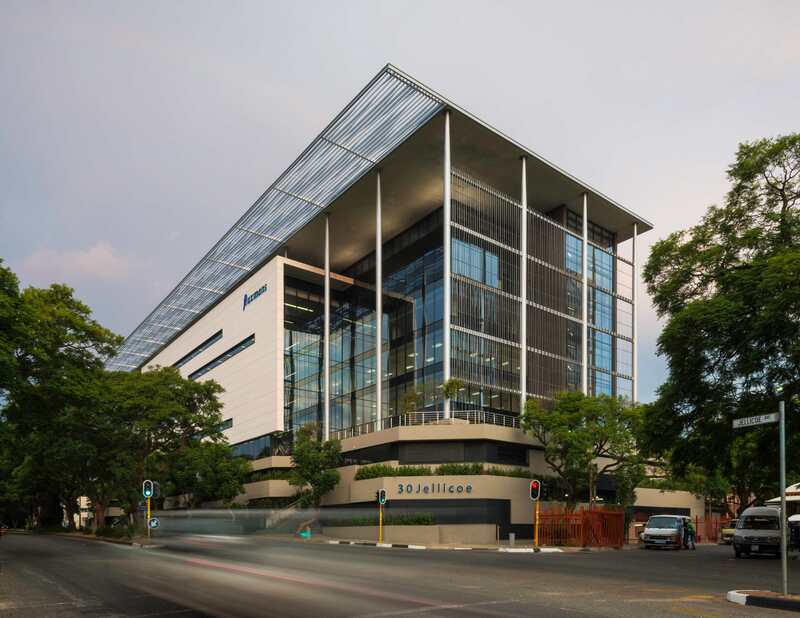 Paragon Architects was approached by Investec during 2011 to propose a design to accommodate amongst other tenants, the law firm Fluxmans. 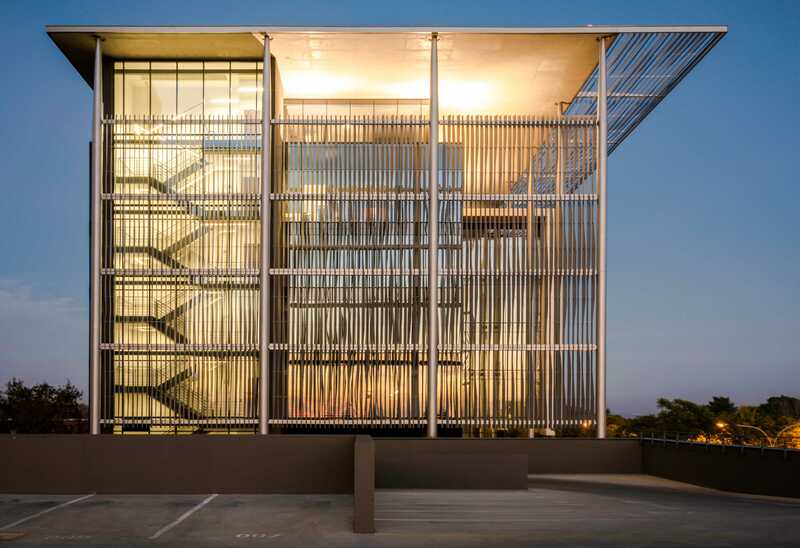 In keeping with the mores of Investec and the tenant, a classical architectural approach was adopted in concept. 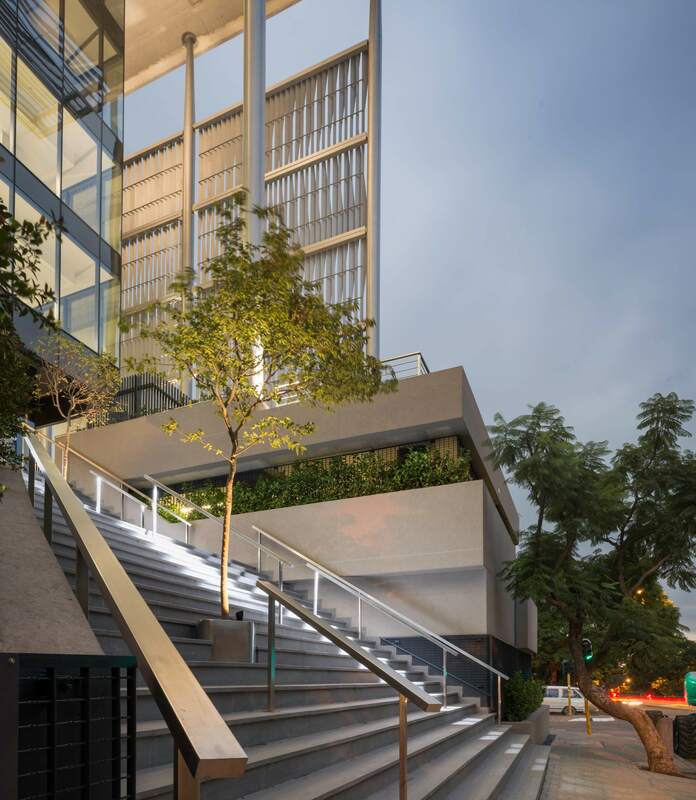 The design comprised a raised platform at street level that included parking but was expressed as a planted volume. Most of the plants, especially the trees, were pre-grown so they had reached some level of maturity before planting on site. 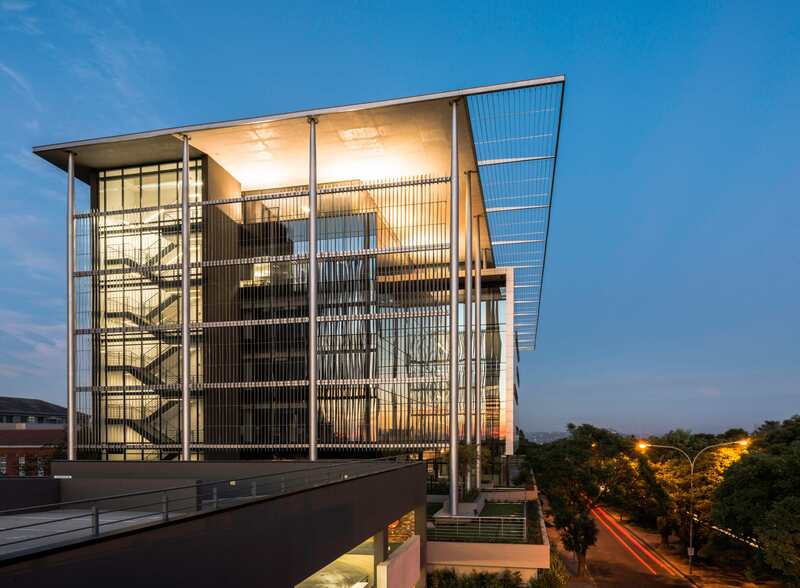 The offices sit atop the platform and are heavily screened to the east and west, with deep overhanging sun screens on the north. The sunscreens were designed in response to a series of sun studies executed by the mechanical engineer. Internally, the orientation of the blades directs your gaze to the treed residential suburbs beyond. 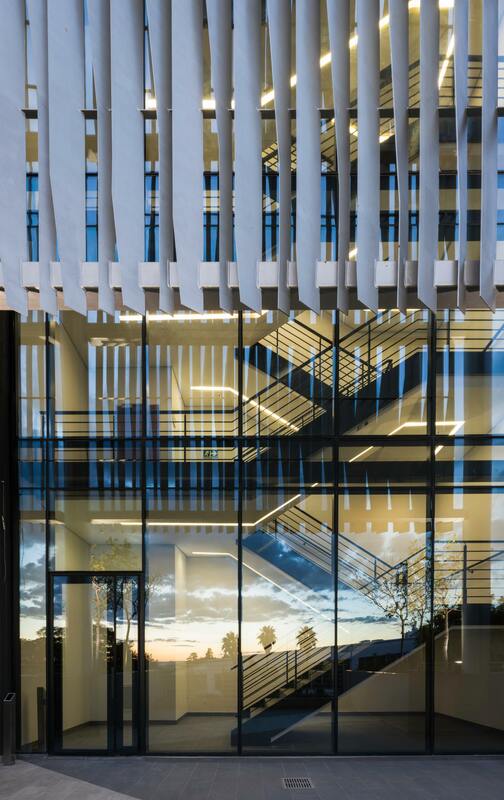 The glazing formed an integral part of the design and included double glazed Stopray clearvision 50T, spandrels with clear glass, double glazed back painted units and 3.85m high ground floor vision panels. 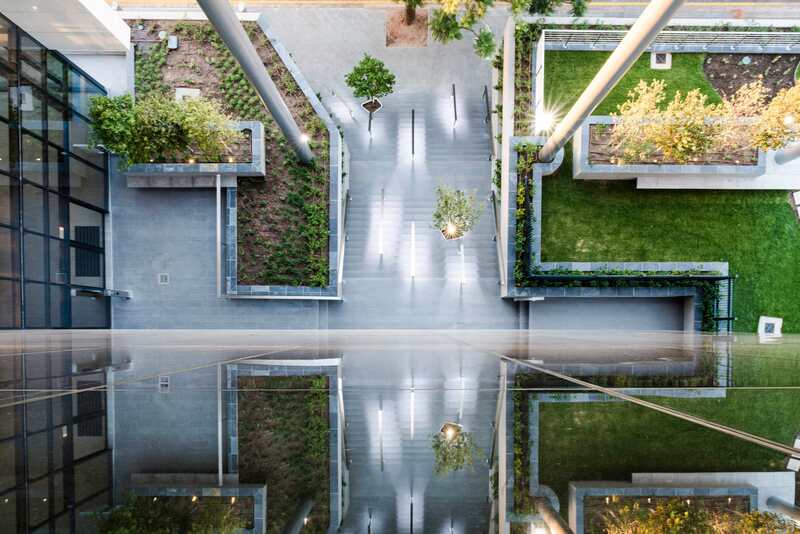 The steelwork forms an integral part of the design. The columns are 24m high in a single length and, from the fifth floor to the roof, they taper from 500mm to 250mm. There are 12 columns externally and 16 internally.